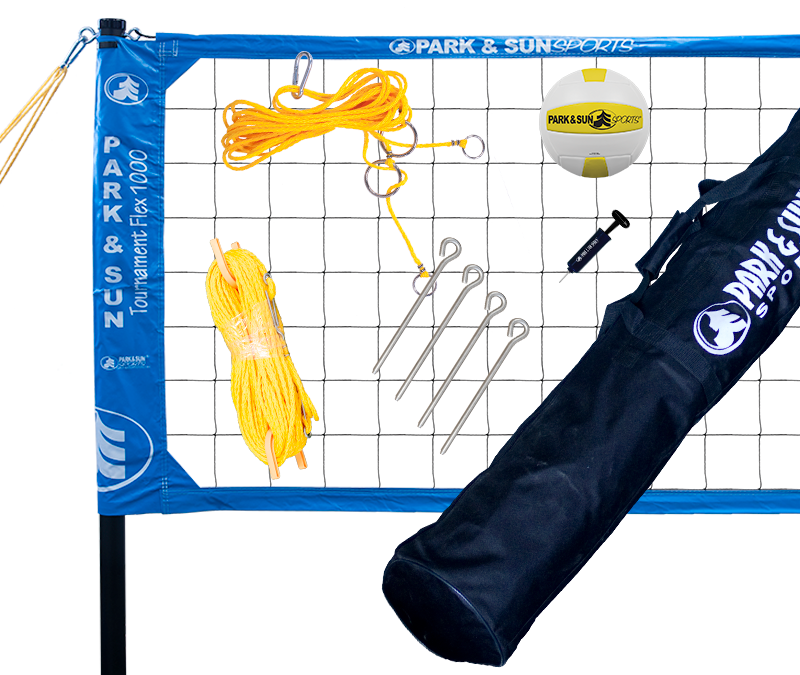 Park and Sun Sports tournament level volleyball sets come equipped with our innovative, lightweight telescoping air-craft aluminum poles. 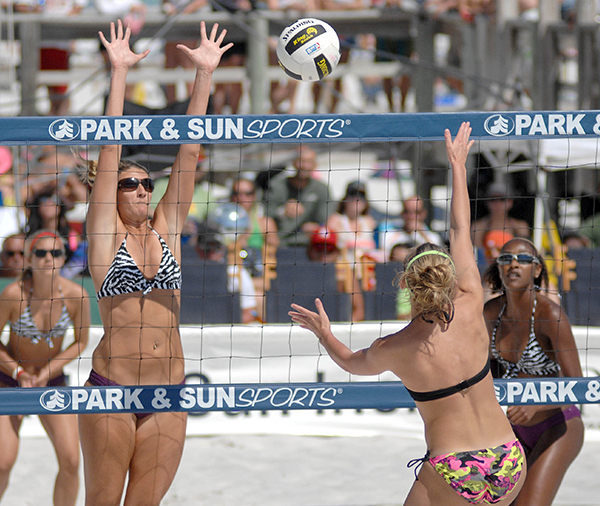 The Tournament 179’s height settings can quickly be changed from men’s official volleyball height of 8’ (7’11 5/8”) to women’s official volleyball height of 7’4” (7’4 1/8”), or you can use Park and Sun Sports custom COED height at 7’8”. 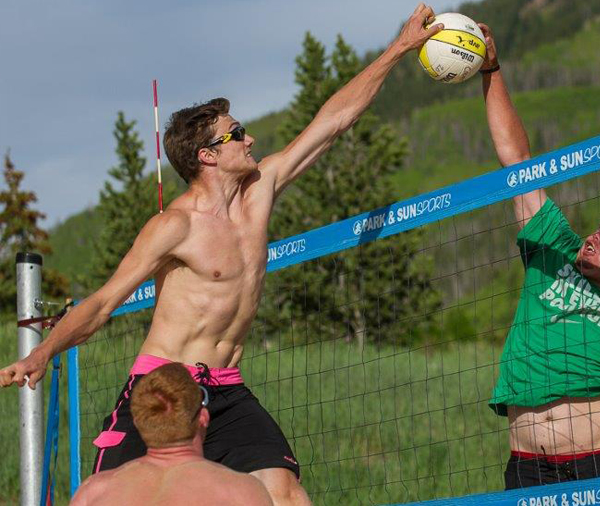 The Tournament Flex’s unique and innovative Flex-net systems allows you near-infinite height adjustments between 36" to men’s official volleyball height of 8' high. 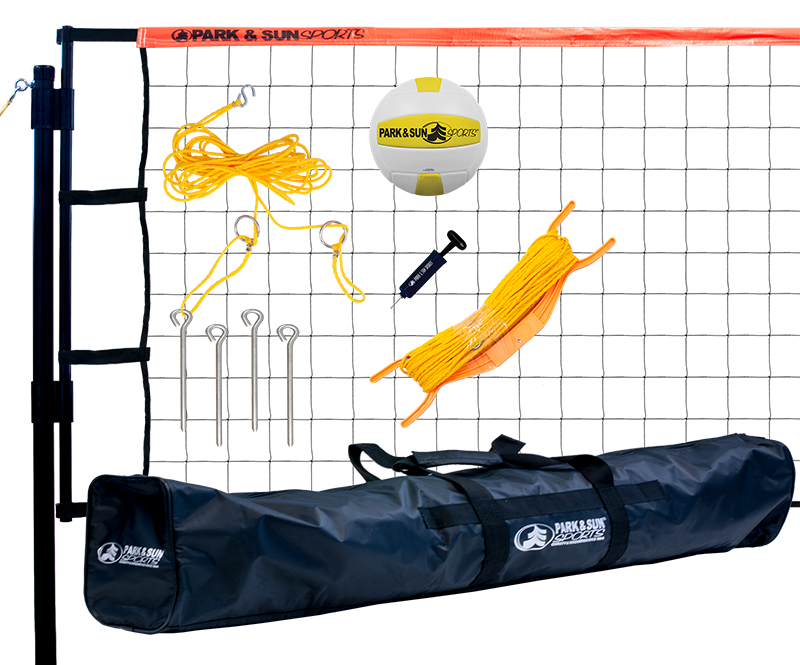 Each tournament volleyball set comes fully equipped with everything you need to set-up your volleyball court. Two telescopic poles, official size 3’x32’ volleyball net with the original Momentum slip-on strap design, adjustable guyline system with tension rings and 8" steel ground stakes that provide maximum net tension, standard full court 3/16” boundary lines (30’x60’), and a heavy duty equipment bag that makes this lightweight set truly portable. 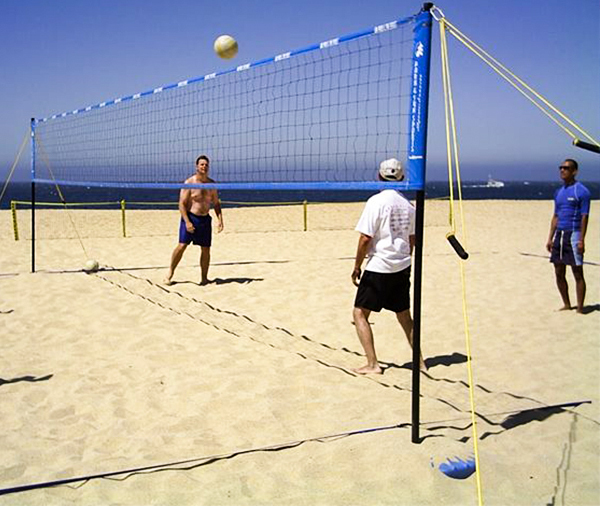 Each volleyball net system comes equipped for grass set-up, but with an optional sand adaptor kit, you can expand the fun to a day of playing beach volleyball. 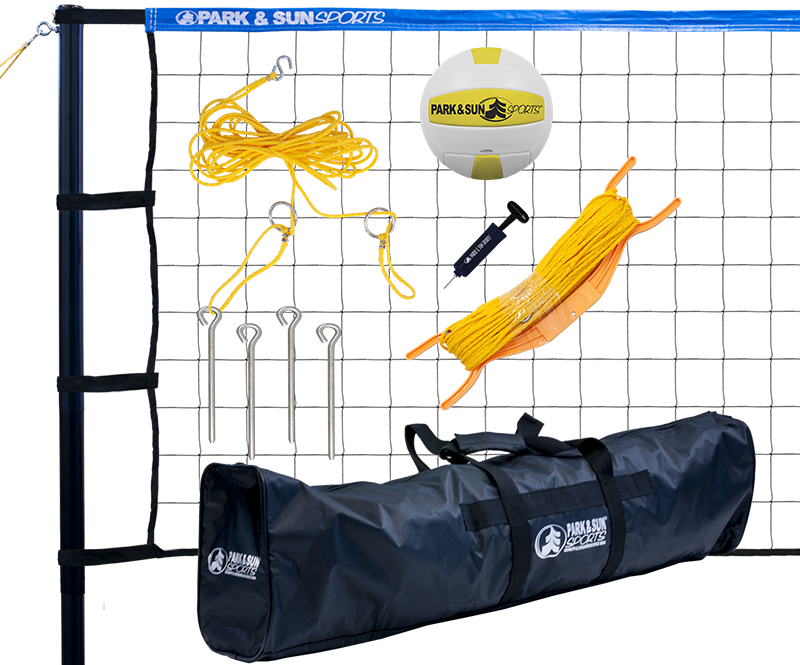 For the use on sand, turn your Park and sun Sports Net System into the ultimate beach volleyball set with ease, with the Park and Sun Sports sand adapter beach kits. Advance your volleyball game with the 4000 professional volleyball net system. Crafted from 4" aluminum poles, this set is designed to be a permanent fixture in your volleyball arena.